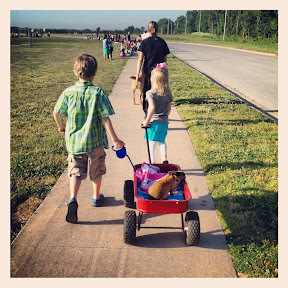 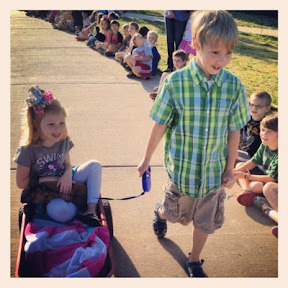 Every year Caleb's school puts on a pet parade and this year we were able to participate! 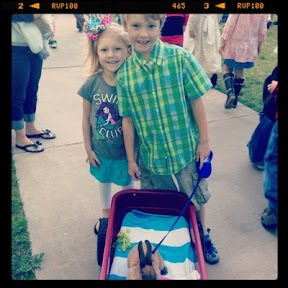 Caleb entered Shadow into the parade and he got lots of comments on what a beautiful bunny he was! 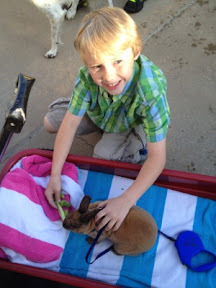 Shadow did really well around all the other animals as well.